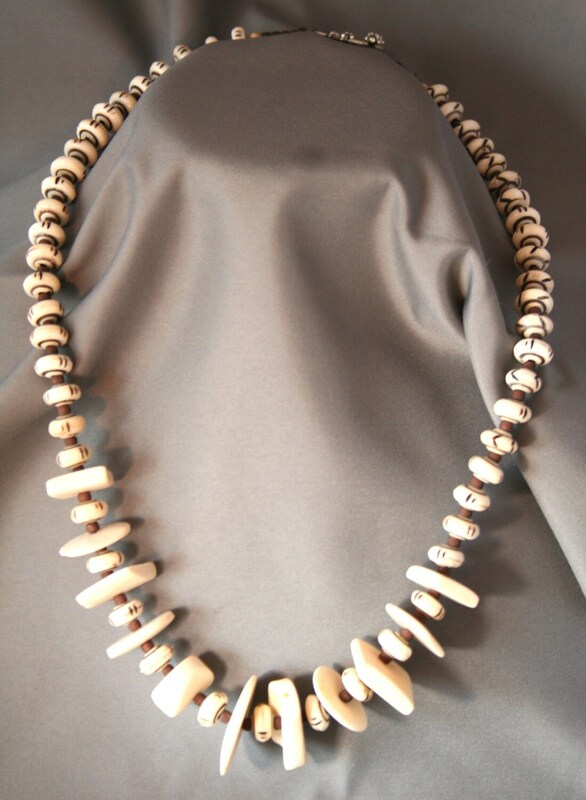 This necklace is made from naturally aged and hand made bison bone beads carved by a Cherokee artisan. I bought them in Talequah, Oklahoma while visiting there. 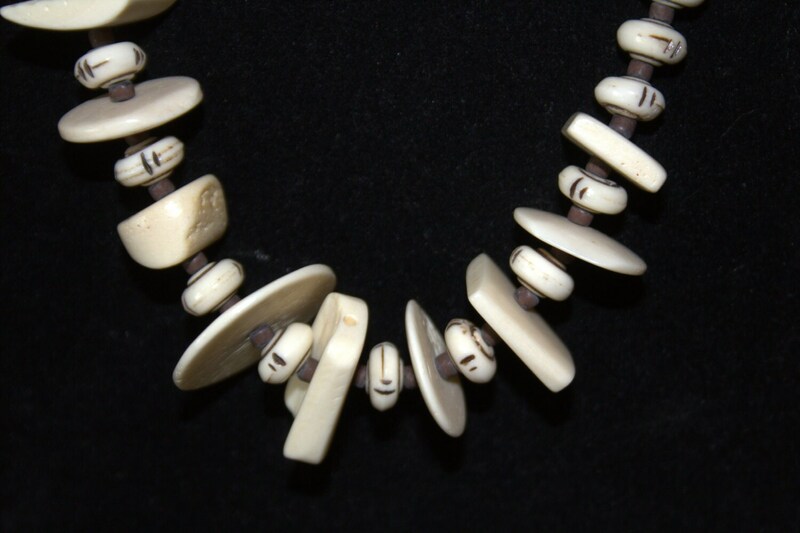 They are a soft off white with beautiful rounded shapes and etched brown accents with cocoa seed bead spacers. 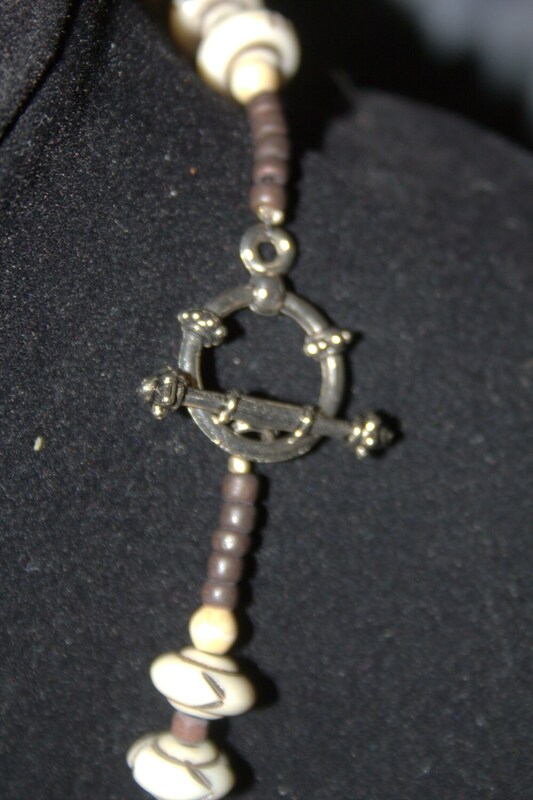 The necklace is 22 inches long, drapes softly and has a sterling silver toggle clasp. It can be worn with jeans or a dressy outfit.